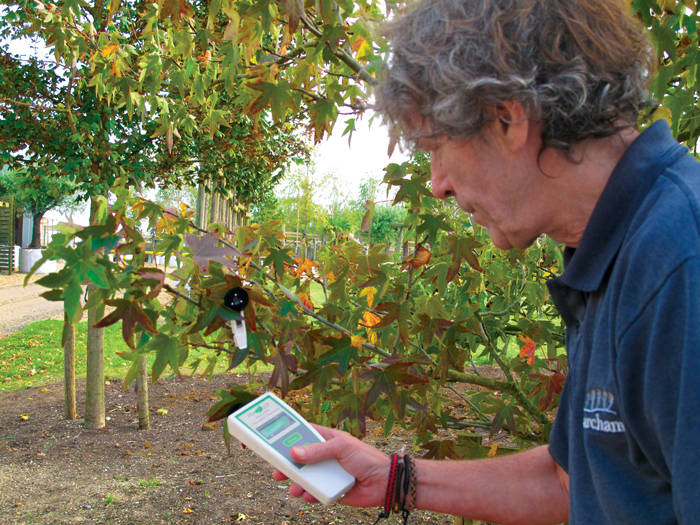 Sandy Felton talks to Mike Glover, Managing Director at Barcham Trees, about his passion for trees, the importance of plant bio-security and plans for the new arboretum at their Ely nursery. 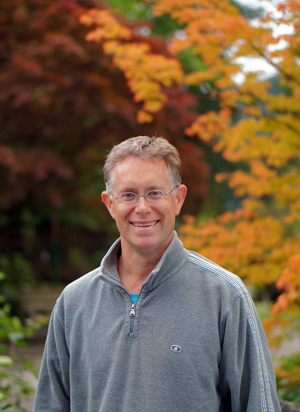 Mike Glover is passionate about growing and raising trees and as Managing Director of Europe’s largest container tree specialist, Barcham Trees, has a vast wealth of knowledge at his fingertips. Ask him how he got involved in growing container trees and he will tell you that the initial driver was back in 1987, when the great storm hit the UK leaving a trail of devastation in its wake. Many of us will remember the heart-breaking sight of seeing majestic forest trees felled, historic estate trees obliterated and beloved garden species demolished. Barcham only sell containerised trees – their ethos is that they grow the trees themselves before they sell them. They take seeds from veteran UK trees to ensure the best characteristics are retained for future generations and then grow them on for up to 15 years, thus supplying instant impact specimen trees for clients. They supply a vast array of clients, from Chelsea show gardens, to local authorities, large estates, town planning schemes as well as the general public. The ancestry of a tree is now more important than ever with the onset of diseases such as Oak Processionary Moth, Asian Longhorn Beetle, Chestnut Blight and Ash Die Back, to name but a few, which has led, in many cases, to government intervention and bans. Now a new threat is on the horizon in the shape of Xylella fastidiosa – a bacterium which lives in the plant xylem tissue and has been found in Europe since October 2013. The European Food Safety Authority currently lists more than 350 plant species from 204 genera and 75 botanical families affected by Xylella, so obviously buying trees and plants that have been proven UK grown can go a long way to countering this new threat. In 2014 Barcham produced a document outlining their commitment to bio-security, the first UK tree nursery to do so and it is a firm part of that commitment not to import trees and sell them to customers for immediate planting into the UK landscape. While the majority of trees at Barcham are home-grown, any that are imported are subject to their rigorous bio-security system – each tree with its own Batch Number – so no stock is imported for immediate resale. 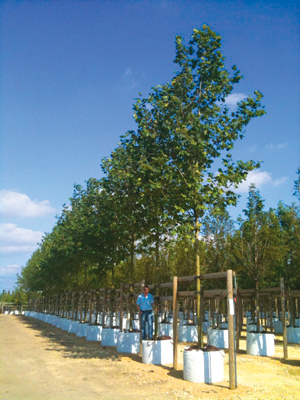 The Company’s scientific approach – each tree established in light pots – turns the science of growing into strength and quality and ultimately beauty. Mike explains that all their trees are continuously monitored and independently checked by DEFRA so they can be bought and planted in confidence. Mike graduated from Writtle Agricultural College in 1990 and the following year found him in California, having been awarded the Wilfred Cave Scholarship by the Royal Bath & West Society to study ‘Instant Garden Techniques‘. On his return to the UK he joined Barcham Trees. In 2003 Mike patented the Light Pot in both Europe and the UK with the aim of producing trees with sustainable root systems. Mike is the author of Barcham’s, ‘Time for Trees – a guide to species selection for the UK‘, a beautifully illustrated and informative publication, now entering its third printing and well worth the £15 cover price. It provides both an excellent reference work for those working in the industry as well as a useful and informative guide for clients wanting to purchase trees for their own particular circumstances. 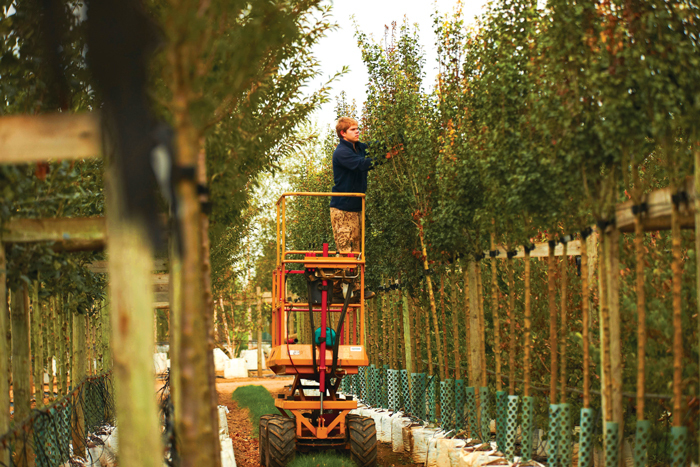 Barcham have supplied more than a million instant-impact trees for the urban environment across Britain and they hold two Royal Warrants, but they never rest on their laurels. 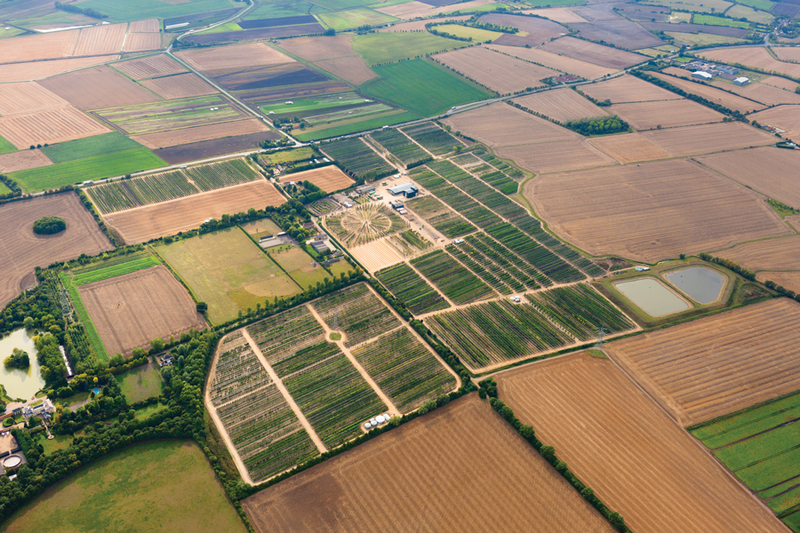 There are exciting times ahead at Barcham with plans for the development of an arboretum, lake and visitor centre at their Cambridgeshire nursery (aerial view above). The new development is also going to include a restaurant and shopping area on part of the 300 acre site, that will also see the creation of up to 40 new jobs. The new development will cover 17 acres in total of which 12 acres will be an arboretum. Mike hopes that this will serve several roles: “It will be aesthetically pleasing, educational, practical and a showcase for both our trade and private customers,” he explains. They are the first major tree nursery to see such a facility as part of their remit and clearly provides a natural extension to what the nursery does, which already includes the education of tree-care professionals and involvement with setting arboricultural industry standards. Thanks to Mike for giving his time during a busy schedule to talk to Reckless Gardener.